This lovely house is located in first line beach. 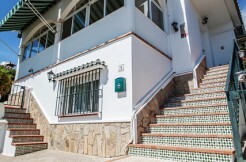 The accommodation comprises 4 double bedrooms, 3 family bathrooms, a roof terrace, a porche and a laundry room. 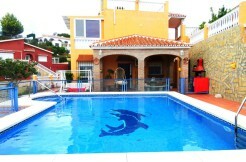 This property also has a beautiful garden, and a communal swimming pool with salt water directly from the sea. This house has 160 m2 built, which 120 m2 are usable and some areas have been reformed. There are 3 stories which the last one would be the roof terrace. 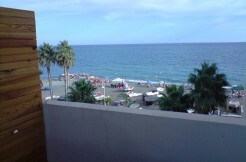 The orientation is west-east, with nice daylight and incredible sea views. IT is very spacious and modern. Parking would not be a problem as it has a public parking. This property is totally fitted and ready to move in !! It is also close to all local amenities and in a very peaceful zone.